Home » agencies » Reverse Mortgage Counseling – What Does Reverse Mortgage Counseling Cost? What exactly is the reverse mortgage counseling cost? This is a very common question among those homeowners that are investigating reverse mortgages. Generally, the cost of reverse mortgage counseling depends on a few things. On average, the cost of the reverse mortgage counseling session is $125.00 – $150.00. Like any business, there are some counseling agencies that are more competitively priced and some that are less competitively priced. Simply put, the more agencies you call, the more likely you are to get a good price for your session. 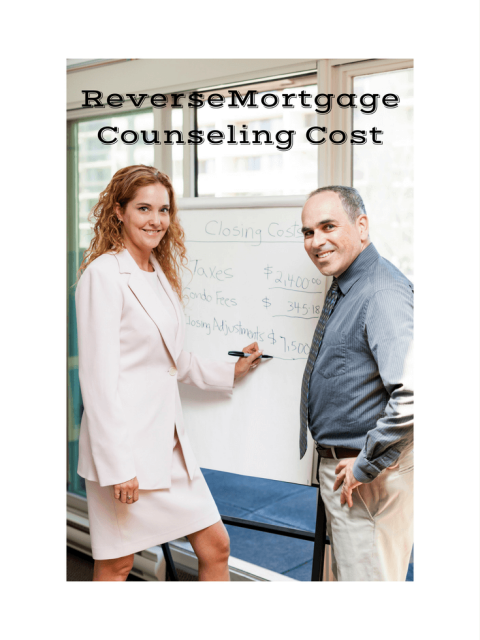 What Does Reverse Mortgage Counseling Cost? – Is there Free Reverse Mortgage Counseling? Some counseling agencies are awarded federal grant money for them to allocate to reverse mortgage counseling. If you want to partake in free counseling, just simply ask if the agency has free counseling when you call to make an appointmentReverse Mortgage Counseling CostWhat does reverse mortgage counseling cost? This is a common question for homeowners who are investigating reverse mortgages. . Should they say “no”, you can either pay, or ask them to invoice it and see what they say. If their only option is to “pay now”, then you have a choice. Either pay at that time OR simply say “thank you” and hang up and call the next counselor on the list. What to Know About Free Counseling, There’s Always a Catch! Usually, the free counseling options is only offered to people that REALLY need it. If you have good cash flow and make decent money, then you may not always be eligible for free counseling. If you don’t make a lot of money and money is pretty tight, there’s a good chance you may get free counseling. Remember, you have to ask first and then typically they will do a brief financial assessment with you. NOTE – not all agencies offer free counseling. Also, if you’re in a time crunch, sometimes it takes longer to get an appointment if you are only seeking free counseling. They are more in demand. Do I Have to Pay for the Counseling Up Front? Paying up front for the counseling session is the norm. However, some agencies will allow you to invoice the counseling. Basically, this means that some agencies let you pay the counseling via loan closing. However, if you do the counseling and elect to pay at closing, know that if the loan doesn’t closed you’ll be expected to pay the counselor for their services rendered. The will send you a bill in the mail. Reverse Mortgage counseling is a necessary part of the reverse mortgage process. You have options in terms of whether you pay for it, get it free, or just pay for it at closing. Whether you get it free depends on if you’re willing to make a few extra phone calls. It also may depend on how quickly you want (or need) to get your reverse mortgage funded. Happy hunting!